Looking forward to the culmination of my time at Alfred University. 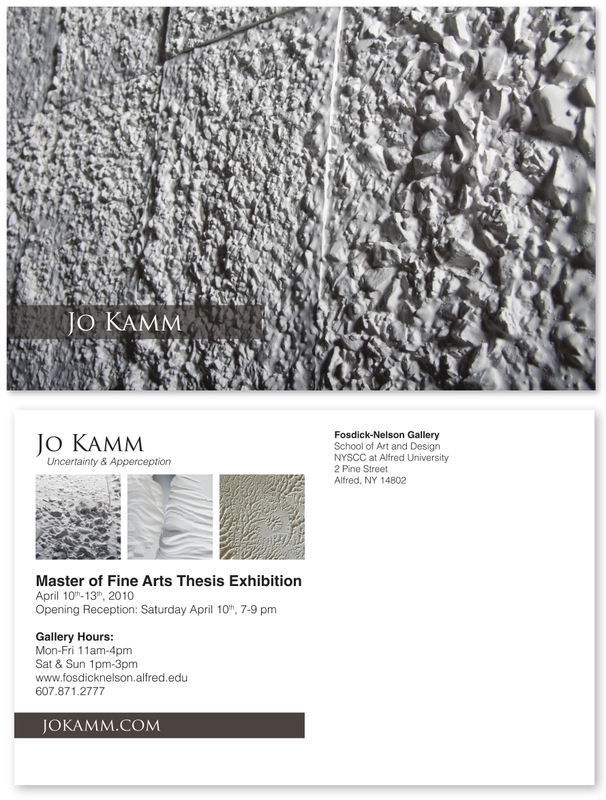 Please come see the new work! For those of you who won’t be able to make it, come back here in a couple weeks to see installation shots of the exhibition.